Governor Aminu Tambuwal of Sokoto State. 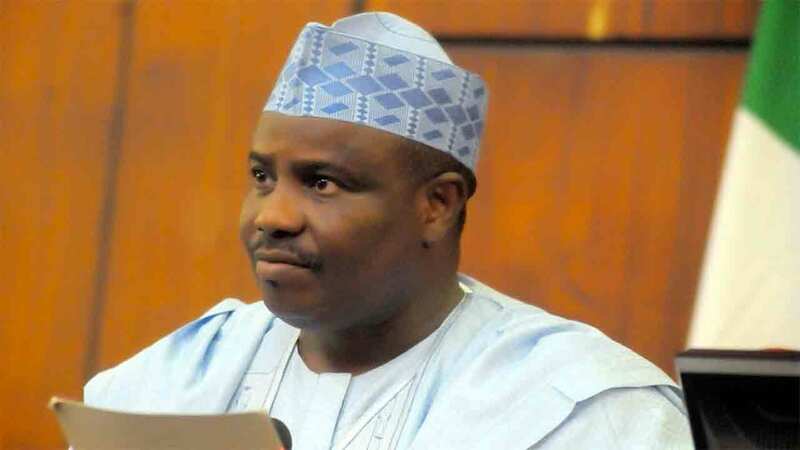 Governor Aminu Tambuwal of Sokoto State has urged Nigerians to unite for the growth and development of the country. Tambuwal also said what unites the people is more important than those things that divide them. Tambuwal’s advice is contained in a statement signed by his spokesman, Imam Imam and issued to the News Agency of Nigeria( NAN) in Sokoto on Monday. According to the statement, Tambuwal spoke in Uyo, Akwa Ibom State when he joined two other Muslim Northern Governors to take part in festivities to commemorate this year’s Christmas. Tambuwal said Nigeria’s diversity is a source of strength which should be cherished and nurtured for the benefit of the people. The other Governors in the entourage were Abdulaziz Yari of Zamfara and Atiku Bagudu of Kebbi. The three joined Gov. Udom Emmanuel to felicitate with him over the birth of Christ and as well, commiserate with him over the recent tragedy which claimed scores of lives after a church building collapsed in Uyo early this month. Speaking when he met with Emmanuel, Yari, who is also the chairman of the Nigeria Governors Forum (NGF), described the tragedy as unfortunate. He said:” The decision to set up an investigative panel to unravel the causes of the collapse is a right move in the right direction. “Your Excellency’s miraculous escape from death in the sad incident, is surely one of the God’s wonders. “We at the Governors Forum received with shock, the sad news of the church’s collapse and we want to send message of solidarity to the people and government of Akwa Ibom over this unfortunate incidence. Responding, Emmanuel thanked the visiting Governors, especially for choosing a holy day like the Christmas day to visit Akwa Ibom. > He described Nigerian Governors’ Forum as,” a big and important family,” saying that,the unity exhibited by the visit will further cement the cordial relationship between the peoples of Nigeria.